A woman accused of murdering her partner believed he was cheating on her, a court hears. Carers who travel to look after people will be able to park for free on single or double yellow lines under a new trial scheme being launched by Cornwall Council. The council said around 130 Care Quality Commission accredited care organisations can apply for the Health Care Permit on behalf of the 4,000 carers they employ. Cornwall Council cabinet portfolio holder for transport Geoff Brown said: “Carers have told us that being able to find a parking space close to the home of those they care for is sometimes a real issue for them. "As they search for somewhere to legally park on the road, the time they have to spend with the person they are visiting is being eaten into. 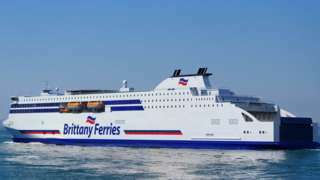 Video caption: Clare Balding hears some unlikely stories about lighthouses on a walk around Plymouth.Clare Balding hears some unlikely stories about lighthouses on a walk around Plymouth. Clare Balding hears some wonderful and unlikely stories about lighthouses on a walk around Plymouth. She is joined by author Tom Nancollas and his friend Michael O'Mahony. Torbay Council's licensing sub-committee considered an application on Thursday to vary the hotel's premises licence. After a hearing lasting seven hours, councillors decided to refuse permission for outdoor live or recorded music and film shows between 10:00 and 23:00. The committee did allow a request for the hotel to open and sell alcohol two hours earlier at 10:00 on Sundays. The hotel has 21 days to appeal against the decision before it comes into force. One of the photographers who captured a humpack whale off the Cornish coast at Land's End has described it as a "magical moment". Video caption: Photographers Duncan Scobie and Carla Regler spotted the whale on Thursday.Photographers Duncan Scobie and Carla Regler spotted the whale on Thursday. Totnes MP Sarah Wollaston was one of those who left the Conservatives to join the independent Group. Defeat for Prime Minister Theresa May in a vote on her Withdrawal Agreement in the House of Commons would greatly increase the likelihood of an application on April 12 for a long extension to the Brexit process. The 23-year-old from Exeter was killed when a train crashed into a car on a level crossing. Thomas Curd will serve a minimum of 20 years for beating and poisoning 22-month-old Eve Leatherland. A humpback whale has been spotted off the coast of Cornwall at Land's End. Photographers Duncan Scobie and Carla Regler spotted the whale on Thursday. Mr Scobie said: "It's one of the magical moments in your life - it was awesome." A man who beat and poisoned his ex-partner's 22-month-old daughter has been sentenced to life in prison. Eve Leatherland had multiple fractures and a fatal dose of codeine in her system when she was found in her bed in October 2017. 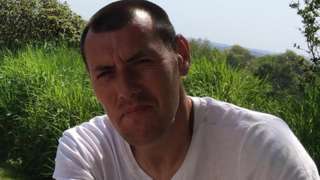 Thomas Curd, 31, was found guilty of her murder at Truro Crown Court on Thursday. Her mother Abigail Leatherland, 26, was found guilty of causing or allowing her death. She has been sentenced to three-and-a-half years in prison while Curd will serve a minimum of 20 years. 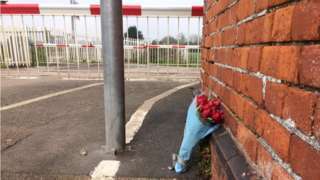 A bunch of flowers has been laid at the scene where a 23-year-old man died in a level crossing crash. It happened at Stoke Canon between Exeter St Davids and Tiverton Parkway at about 06:00 GMT on Thursday. British Transport Police (BTP) said the man's death is not currently being treated as suspicious, but it is investigating how it may be linked to three further incidents on the line. 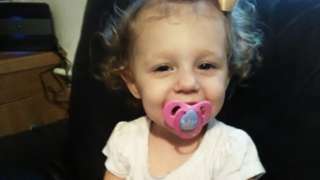 A man who murdered his ex-partner's 22-month-old daughter by repeatedly beating and poisoning her will be sentenced later. Eve Leatherland suffered multiple fractures and had a fatal dose of codeine in her system when she died in Liskeard in October 2017. 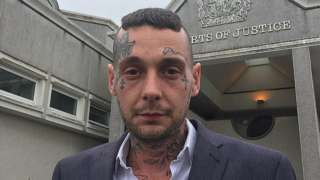 Thomas Curd was found guilty by a jury at Truro Crown Court on Thursday. Eve's mother Abigail Leatherland was convicted of causing or allowing her death, but acquitted of manslaughter and will also be sentenced later. Police are increasingly concerned for the welfare of a 33-year-old man reported missing from Teignmouth. Andrew Bent was last seen in the Exeter area on Wednesday. Mr Bent is described as a white man, around 6ft 5ins tall, clean shaven with collar-length, straight, blond hair. He was last seen wearing a dark coloured leather jacket with a khaki hoody, light blue jeans, and black trainers, and was carrying a large black camping rucksack with red detailing. Police are asking for anyone with information about Mr Bent's whereabouts to contact them. It'll be another chilly start to the day with areas of mist, fog and low cloud affecting many areas at first. Some fog patches will be quite dense initially, but should clear by mid-morning to give another bright and dry day with long spells of sunshine and some patchy cloud. Light variable winds will be mainly southeasterly. Cornish food processing company St Merryn Meats is under threat of closure, with the potential loss of 173 jobs. Managers of the factory in Roche have entered a 45-day consultation period with the Usdaw union, but no definite decision about the plant's future has been made. St Merryn Meats is owned by Kepak and makes chilled meat products such as burgers for a variety of different brands. An Usdaw spokesman said the closure would be devastating for the area and the union's priority would be to save jobs. The news follows the confirmation that Kensey Foods in Launceston will close in July with the loss of more than 600 jobs. "About a dozen" chickens have been rescued from a large shed fire in Newquay. Firefighters from Newquay and Perranporth were called to the blaze at an allotment in the town on Thursday evening. Crews were able to prevent the fire spreading to any other buildings. The allotment was situated next to a plot belonging to two of the firefighters, so the chickens were able to be re-homed in a pen there.